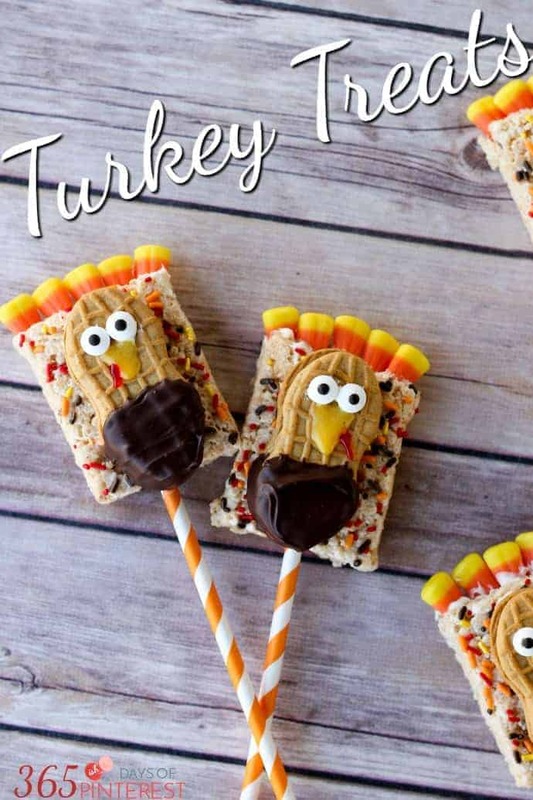 Rice Krispie Treat Turkey Treats - A great Thanksgiving craft! 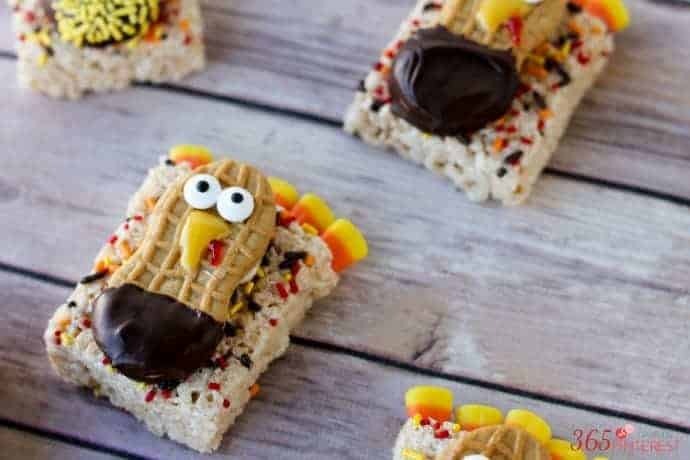 These Rice Krispie Treat Turkey Treats are perfect for class parties, the kids’ table for Thanksgiving or just as a fun activity to do in the kitchen with your kids! We love to food craft at Princess Pinky Girl and today we are making super cute Rice Krispie Turkey Treats! Hello again, Pinky Pals! It’s Nicole from 365(ish) Days of Pinterest. I swear the months are getting shorter, because it seems like I was JUST writing this post about Pumpkin Spice Snack Mix and talking about fall finally arriving. Now here we are putting the final touches on Halloween costumes and turning our attention to the holiday season! Do you love food crafts?? Be sure to see one of our other favorite Thanksgiving treats to make with kids. Check out our super cute Thanksgiving Pilgrim Hat Cookies! 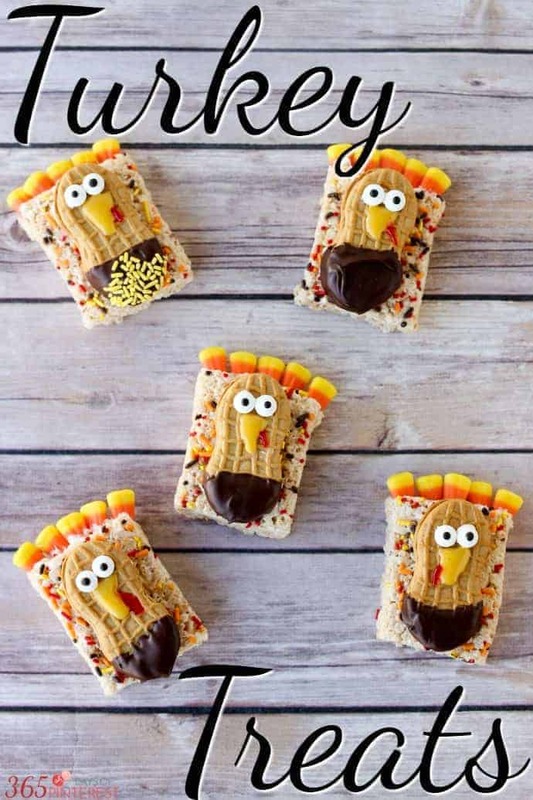 They are really easy to make and a great Thanksgiving craft! 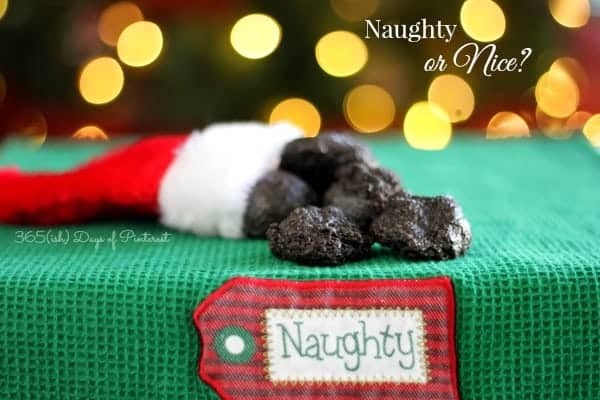 Every year I love to scour Pinterest for great recipes and fun activities to do with my kids. I found several really cute “turkey” ideas from the amazing bloggers that create everything you see on Pinterest. 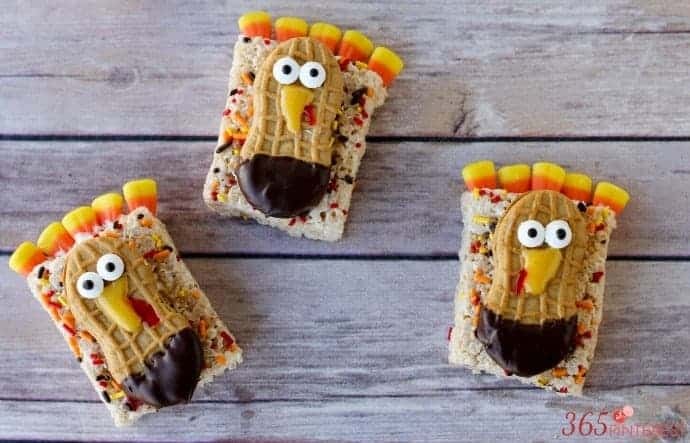 It got my creative juices flowing and I came up with these cute little Turkey Treats! My boys gobbled them up (ha ha- see what I did there?) so I’m sure we’ll be making them again for Thanksgiving. The best part about these Turkey Treats is how easy they are to put together. 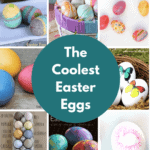 Your kids can help put them together in minutes! I let Charlie help me with the eyes and the candy corn tail feathers. 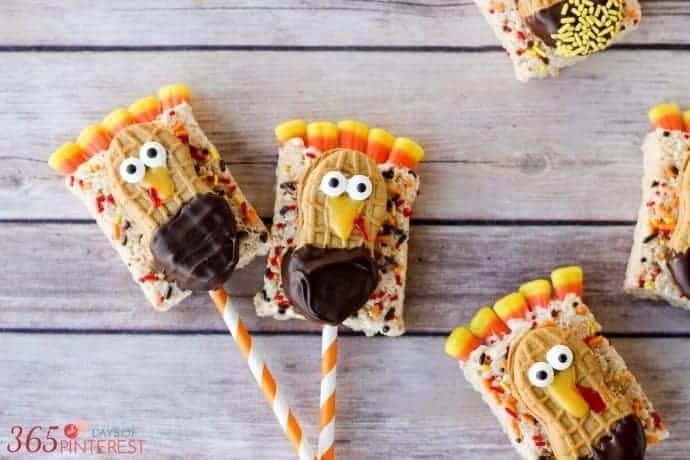 Older kids can do the dipping or help with making the Rice Krispie Treats before you get started creating the tasty turkeys! In a small bowl, microwave the chocolate chips and coconut oil for about 30 seconds and stir until completely melted and smooth. Dip the bottom of a Nutter Butter cookie in chocolate and spread the top with a little frosting. 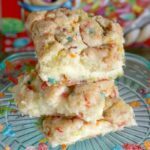 Stick onto a treat bar before the chocolate hardens. Using a dab of frosting, “glue” the eyes onto the cookies. Pipe orange or yellow beaks and add a small red waddle. Dip the tips of candy corn into the frosting and then press into the tops of the bars to create colorful tail feathers. Place in freezer or refrigerator for a few minutes to quickly set the chocolate and frosting. You can also put these treats on a stick for a cute way to display them or just to keep your fingers clean while munching. Push a straw or craft stick up into the bar and then seal the hole with frosting and a dab of chocolate to keep it in place. Refrigerate to set. 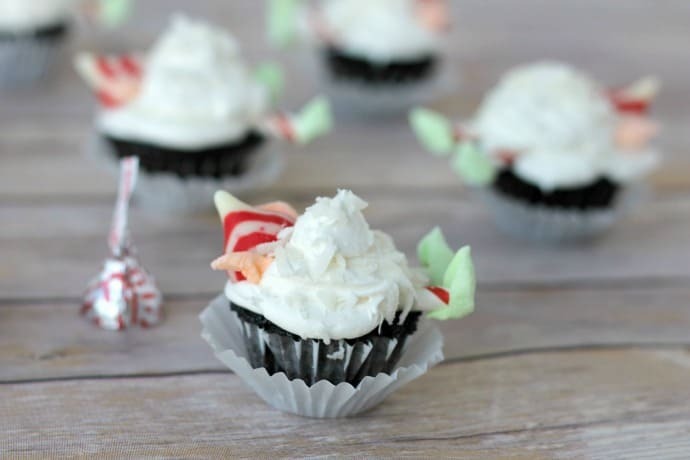 Get more great ideas for holiday treats from 365(ish) Days of Pinterest!